Since I’ve switched from coffee to matcha, I’ve come quite a matcha snob. This recipe is by far the best, and my husband and I drink it every morning! Ceremonial grade matcha versus not ceremonial makes the biggest difference to us in taste (unfortunately is more expensive). Essentially, you need all the ingredients mixed thoroughly. You can shake it, blend it, whisk it, whichever! My husband actually shakes it in a mixed drink shaker! Put the matcha in last to avoid clumps. 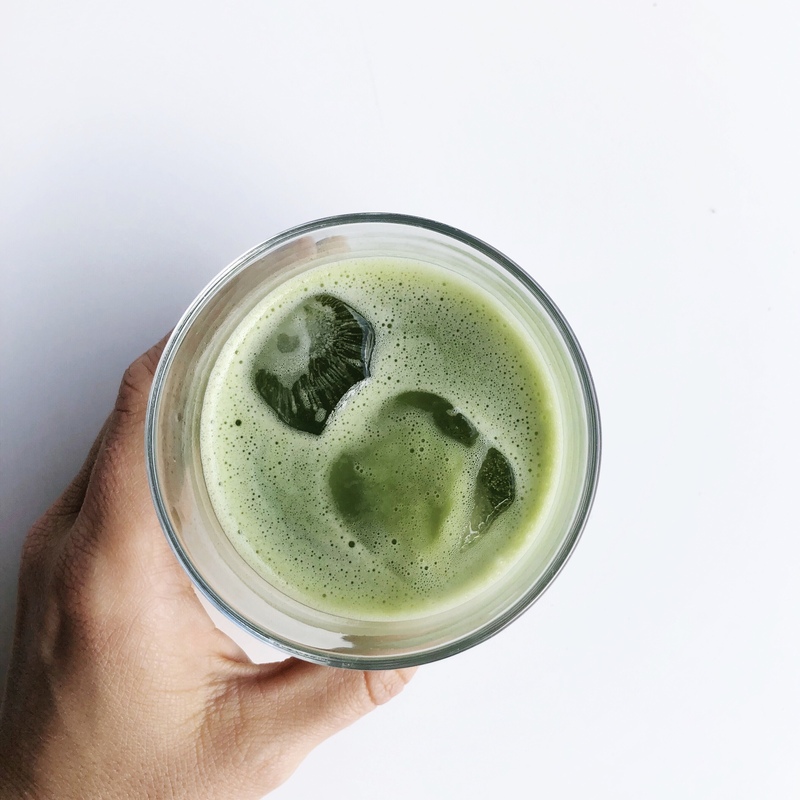 Or you can whisk the matcha powder and honey with a matcha whisk or normal whisk with a small amount of hot water until clumps are gone, then add milk and ice. Or you can blend it in a small blender then add ice. Or blend with heated milk. Hope you enjoy!